At our Flatbush-area office of Pasternack Tilker Ziegler Walsh Stanton & Romano, LLP, we have departments of lawyers who specialize in specific areas of workers' compensation, personal injury and Social Security Disability law. Since one accident can result in multiple claims, it is essential to work with a law firm that knows the law, your situation and your eligibility for specific benefits. Then, we thoroughly manage the procedures to receive those benefits. Under the state of New York workers' compensation law, if certain working conditions or an on-the-job accident led to injury or disease, your employer's insurance is supposed to provide you proper compensation and medical coverage. 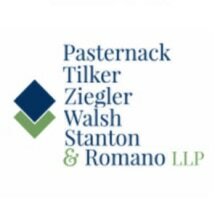 At Pasternack Tilker Ziegler Walsh Stanton & Romano, LLP, we can manage any case from any misfortune, from Hurricane Sandy damage to product malfunctions and construction site accidents. Our law firm is fortunate to have lawyers whose success has been recognized by satisfied clients and by the industry. Those honors include multiple inclusions in industry lists and reviews, such as Super Lawyers. Our attorneys encompass hundreds of years of combined legal experience. Since opening in 1930, our law firm has successfully represented more than 500,000 clients. Our law firm offers free consultations and evening and weekend appointments. We also offer visits to hospitals or homes. We speak many languages, including Spanish and Chinese.